For ASTANA EXPO 2017 under the topic ”Future Energy” the Kazakh government plans to support several huge projects producing power from renewable energy sources. By the start of the fair in 3 years plants are supposed to be built in and around Astana with a total output of more than 500 MW. Two-thirds of the discussed projects are wind power projects. 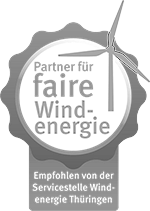 In connection with that, the Leipzig located firm Green Energy 3000 GmbH firstly expands in its history to Asia. This has been started with the foundation of Green Energy 3000 Kazakhstan GmbH in the first quarter of 2014. At the moment three employees are representing the firm over there.